We spent Memorial Day 2018 at this reservoir and it was gorgeous. It’s dry camping, but there are a couple outhouses provided. The area where we were camped did not have an outhouse, despite having campsites. This is why I only gave it 4 stars. If there are campsites, why no outhouse? If you don’t have a trailer with a bathroom, you have to go to another area to use the outhouse. Other than that, the area is beautiful. I loved to watch the pelicans, and the fishing was great. There were people who had camped at a different nearby reservoir who came to Holbrook to fish. The fishing was really good and both of my kids caught their first fish during this trip. Took the kids camping here for the first time tent camping and we had a blast. Albeit a bit dusty and rustic, we couldn’t believe how beautiful the lake view was from atop the trailheads and how spectacular the views of the pinnacle rocks were on drive down towards the lake. The campground is clean, well kept and there is bear proof boxes to keep them hybrids of your things which was reassuring and helpful. We will definitely be returning. Most Affordable NPS Campground Ever! It was only $5 a night to stay here! Granted there was no running water and the only toilets were plastic portable ones but to camp in the incredible Crater Lake National Park that felt like a steal! Lost Creek is tent camping only and there are no fires allowed. There's only a handful of sites that were almost full by later afternoon. The sites are separated by low brush that doesn't provide too much privacy but also keeps the campground from feeling crowded. 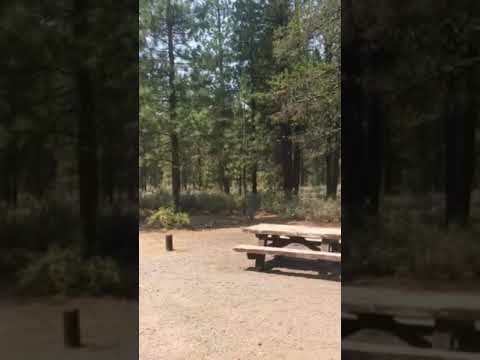 It's a quiet campground about 3 miles from the Rim Road. Another 4 miles down the road is are the Pinnacles, super cool formations left behind when the volcano erupted 7,700 years ago. I visited mid-September and it was very chilly in the evening and early morning when the sun was behind the mountains. I woke up to a solid layer of frost and ice in all my water. There is water available throughout the park but campers are encouraged to bring their own form outside Crater Lake so as not to put pressure on the watershed. HIGHLY RECOMMEND taking one of the ranger led sunset hikes up Watchman Peak. Or, if learning about history and nature along the way isn't your thing, walking up to the peak alone. This is a wonderful out-the-way spot near Bray, a one house town that is more of a junkyard than town. Ignore it. A mile there are 6 lakeside spots which are perfect for small RVs or tents and 4 more “group” spots on the north side of the lake. Very peaceful and secluded on the shore of a small lily pad covered lake. There are 3-4 small docks but the boating is limited because of the lily pads. Great swimming and fishing though! There’s no water, sewer or electric hook-up so you RV’rs will be boondocking. the Outhouses were the cleanest I’ve ever seen and there are dumpsters and recycle bins. I visited in September of 2017, and it was not too crowded. It is unbelievably peaceful and quiet. Plenty of fallen wood to collect for fires, and by September it does get very cold at night - our water froze, and it was super cold in the tent. Very close to good caving at Lava Beds, and lots to explore in Modoc County. Really nice park off of hwy 97. It has a neat museum and the facilities were clean. There is a neat clear creek is just down the road and has trails to explore. There were people kayaking on the creek. Lots of places available to park and it was a little crowded but still a nice park. nice well kept campground. This campground is a couple miles of dirt road off of hwy 97. The camp host was very helpful and nice. He explained to us where good spots to put our kayaks in. I saw two water spouts and there are bathrooms. The campgrounds are dispersed and it was not crowded when I was there. A little hot and dusty but that’s camping at times. 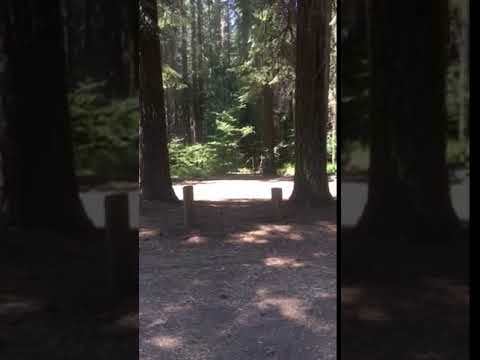 Very nice,quiet, clean, and simple campground. plenty of available spots I’ve been out here twice and still haven’t seen another camper. Pit toilet available but no hookups. There is a neat little creek right by the campsites. It’s a little ways off the main road and feels a bit secluded. This campground is one of my favorites and is home to a beautiful crystal clear natural spring. It is well maintained, clean, and has picnic tables. It looked like there are stables available. We went kayaking and it was a nice calm gorgeous spot. Perfect spot for a campground. We felt our campsite was plenty big enough for our 30 ft. trailer, chairs, dog, and equipment. The chipmunks are everywhere and will steal food. Our dog was quite annoyed. Follow the walking trail to the logging museum. Logging equipment, buildings, train cars (all outdoors) with guided tours and a gift shop. The nearby river is small and beautiful. Ended up not staying when placed right next to a large dog on a table that was growling at us. Campground is behind a motel, nothing special, just flat spots. This campground is beautiful! Walking distance to the river and logging museum. Logging museum is huge and worth a visit. River is clear and beautiful. Sites are clean and nice. Tent and RV sires available. Beware of the Chipmunks! They are everywhere and for some reason people life the goods to protect their cars. Some spaces can be tricky for large RVs. Want to be close to town for a night. This KOA is well kept, has a small store, gas station and propane. Also offers a clean pool and restroom. Camp sites are nice wirh green grass. There are also tent camping and cabins for rent. 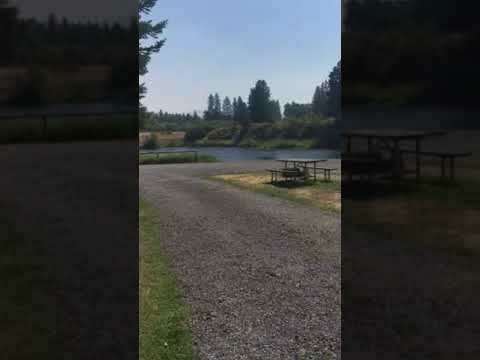 Be aware of midges, found by the water in these parts of Oregon (koa is by a canal). They don't bite, but are annoying and look like a mosquito. This KOA is close to stores, to refill groceries, restaurants and the Amazing Crater Lake and Lava beds National Parks. This is a great camping spot next to a small lake! The sites are perfect, both single use and group use. The picnic tables and fire pits are near perfect, almost brand new, and the bathrooms are immaculate! The entire area is kept up extremely well. The lake is a great spot to do some fishing from either the small docks of from a non motorized boat. A bald eagle has a nest at this site which is pretty awesome as well. One warning, the bull frogs go all night long! I recommend driving the forestry road to the top of Mt Orr, there is a service lookout tower up there but the guy I ran into was very nice and had no problem with me checking out the amazing view, I highly recommend it! I knew nothing about this place before going here. I was just here as a base camp to scout for elk, which I saw none of, for an upcoming hunting trip. This place was absolutely beautiful! They offer day use, horse use, and overnight use. The overnight use has 6 available spots at $10/day which is a deal given that the sites are ample with awesome picnic benches and fire pits. I’m never excited to use a campsite bathroom but this was immaculate and never smelled. Cleanest public bathroom I have ever encountered. There is a small stream that flows through the area coming from a beautiful meadow. All sorts of wildlife loves to visit, even deer. The camp is surrounded by a barbed wire fence to keep cows out, I’m assuming. There are cattle guards at both entrances of the site as well. This is my new favorite spot.